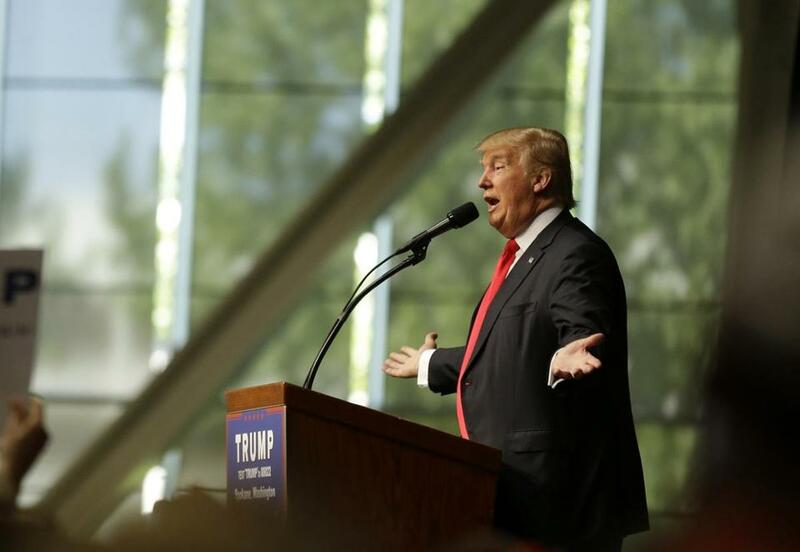 Donald Trump’s economic views skew far from GOP orthodoxy. When establishment Republicans like House Speaker Paul Ryan keep their distance from Donald Trump, it’s not just because of the real estate mogul’s overt xenophobia or the authoritarian overtones of his campaign. Since the Reagan era, the push for tax cuts even for the wealthiest taxpayers has defined the GOP. But on this central point of party doctrine, Trump is wobbly. In an interview that was broadcast Sunday, he told ABC’s George Stephanopoulos that the richest Americans would likely pay more in any tax deal he negotiated with Congress. He made similar remarks to Chuck Todd of NBC’s “Meet the Press” that same day. This was a departure from Trump’s own tax plan from September, which promised deep cuts at the top of the income scale. Then, on CNN Monday, Trump staked out a middle ground between his position and his other position, saying the wealthiest taxpayers would end up paying a higher rate than what he’d prefer but lower than what they pay now. Whatever Trump’s position is, it falls short of the crisp antitax stances of his recent GOP rivals or of 2012 nominee Mitt Romney. Four years ago, Romney referred to the wealthiest taxpayers as “job creators,” and insisted that tax cuts for them were essential to jolting the nation’s economic growth. 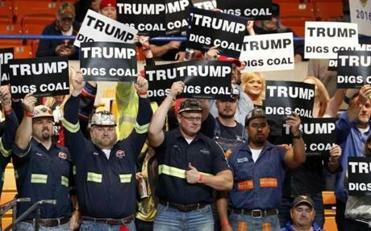 West Virginia is facing a hard economic reality as coal falls out of favor. So has the Republican Party, which up to now has succeeded in uniting business conservatives with blue-collar voters — often disaffected white ex-Democrats — who are unsettled by rapid social and demographic changes. But deep splits within a party can’t be papered over forever. In the 1960s, Democrats had to pick between embracing the civil rights movement and placating white Southerners who’d long been part of the Democratic base. There was no way around the decision. The GOP now faces a similar divide. While the details of Trump-style populism are hard to nail down, it’s plainly not meant for the same audience as Ryan’s more orthodox approach. When traditional conservative voices like The Wall Street Journal’s editorial board nudge Trump to embrace Ryan’s economic plans, they’re not merely asking the GOP presidential candidate to fine-tune his views. They’re pushing him to change the fundamental logic of his campaign.